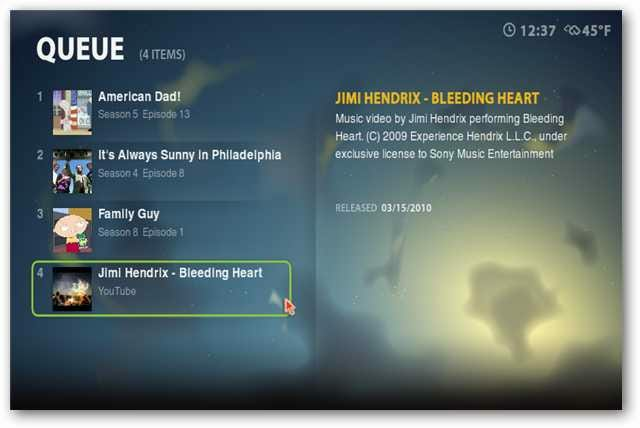 Boxee is a free Media PC application that runs on Windows, Mac, and Ubuntu Linux. 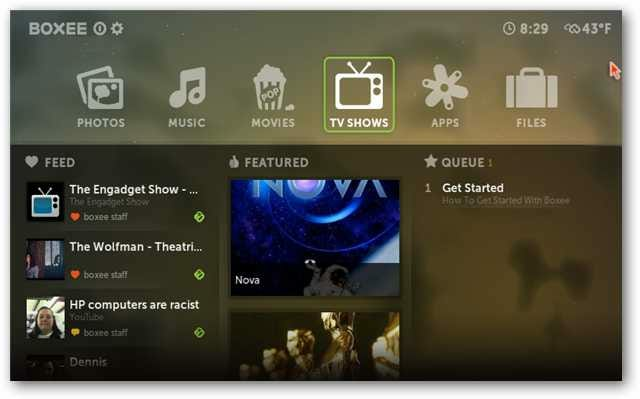 With Boxee, you can integrate online video, music and pictures, with your own local media and social networking. 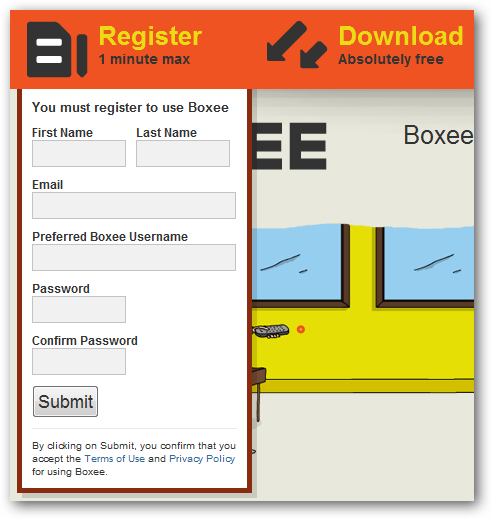 Today we are going to take a closer look at Boxee and some of it’s features. Note: We used Windows 7 for this tutorial. Your experience on a Mac or Ubuntu Linux build may vary slightly. Once your account is registered and verified, you’ll be able to log in and download the application. Installation is pretty straightforward…just take the defaults. 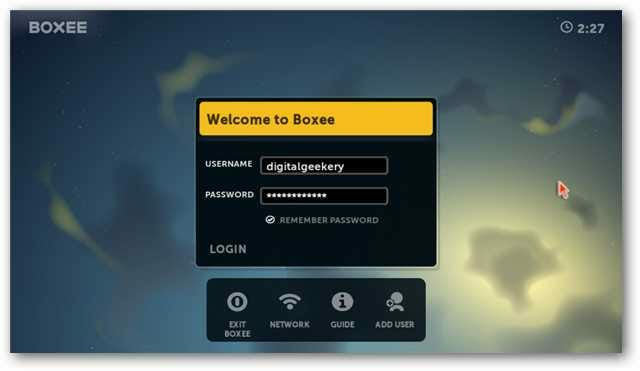 Boxee will open in full screen mode and you’ll be prompted to login with your username and password. 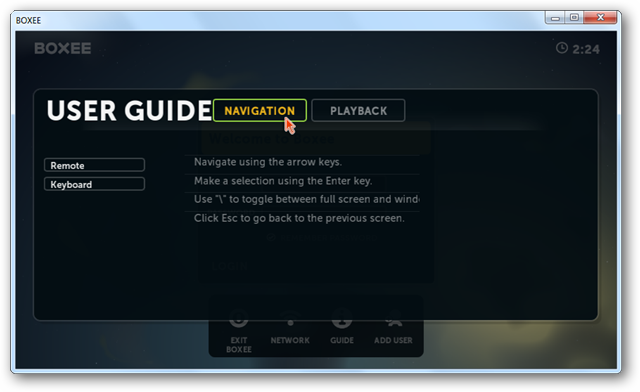 Before you login, you may want to take a moment to click on the “Guide” icon and learn a bit about navigating in Boxee. Some basic keyboard navigation is as follows. Move right, left, up, & down with the arrow keys. Hit “Enter” to make a selection, the backslash slash key “\” to toggle between full screen and windowed mode, and “Esc” to go back to the previous screen. For Playback, the volume is controlled by plus & minus (+/-) keys, you can Play / Pause using the spacebar, and skip using the arrow keys. 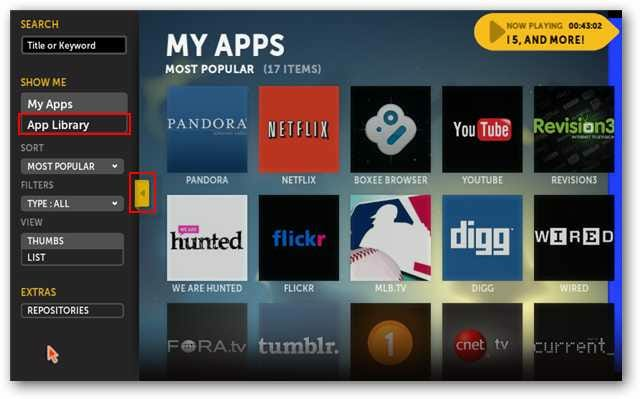 Boxee will also work with any infrared remote. 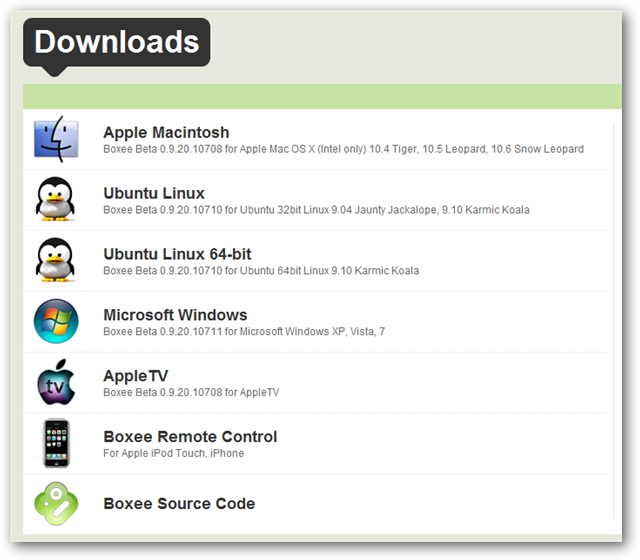 If you have an iPhone or iPod Touch you can download software to enable them as a Boxee remote. If you’re using a mouse and keyboard, hover over the username and password boxes to enter your login credentials. If using a a remote, click your OK button and enter credentials with the on screen keyboard. Click “Done” when finished. 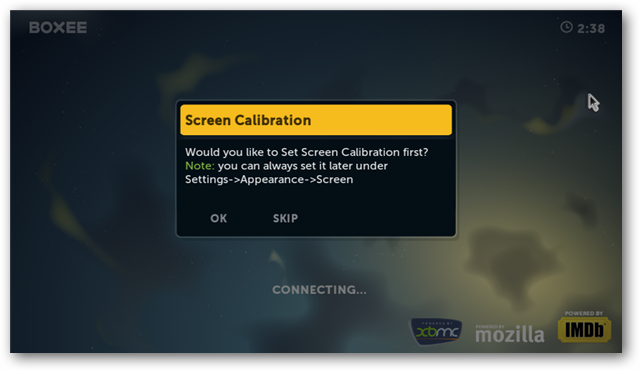 On first login, you’ll be prompted to calibrate your screen. If you choose “Skip” you can always calibrate your screen later under Settings > Appearance > Screen. 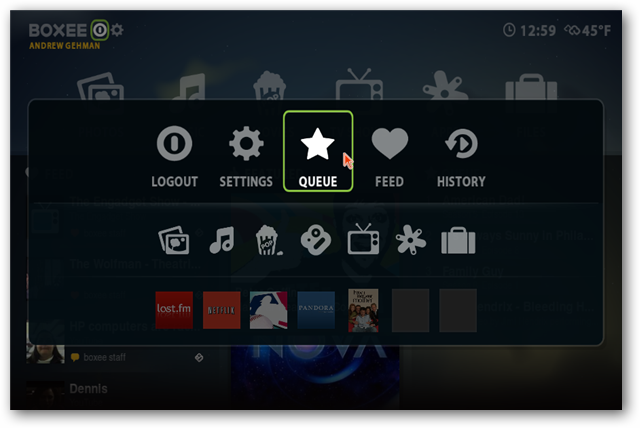 When Boxee opens, you’ll be greeted by the Home screen. To the left will be your Feeds. This will be any recommended content from friends on Boxee, and social networks such as Facebook and Twitter. 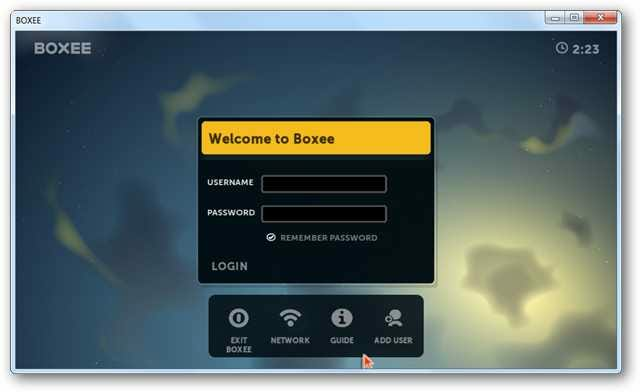 Although, when you first login, it will mainly be info from the Boxee staff. 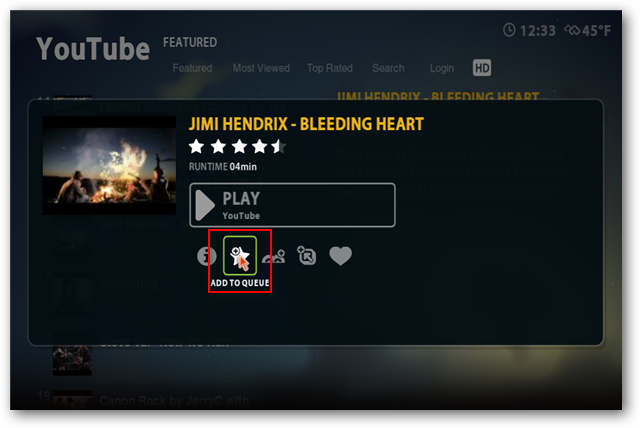 You’ll have “Featured” content in the center and your Queue on the right. You’ll also have the Menu along the top. The Pop Menu can be accessed by hitting the “Esc” key, or back on your remote. 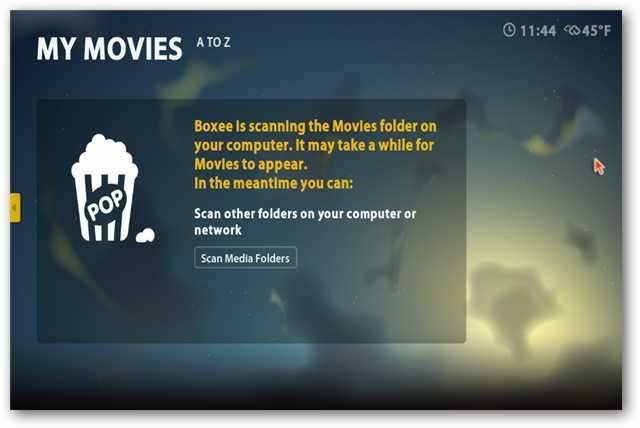 Depending on where you are located in Boxee, you may have to hit it a few time to “back out” to the Pop Up menu. From the Pop Up Menu, you can easily access any of the resources, settings, and favorites. The selected item will be added to your Queue and can be accessed at any time from the Menu. 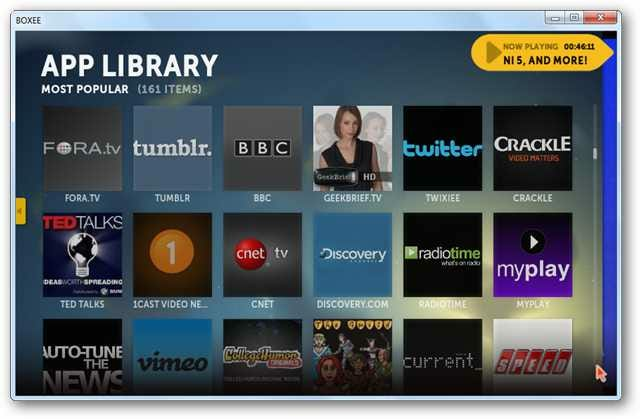 The TV Show library can contain files from your local hard drive or streaming content from the Web. 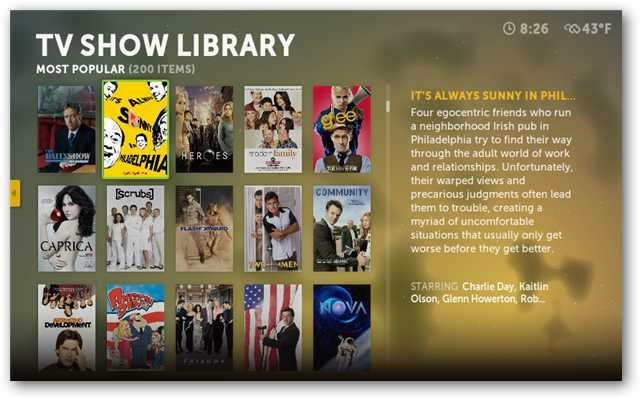 Boxee pulls content from a variety of online locations such as Hulu and TV network sites. Click on the show to see which specific episodes are currently available. 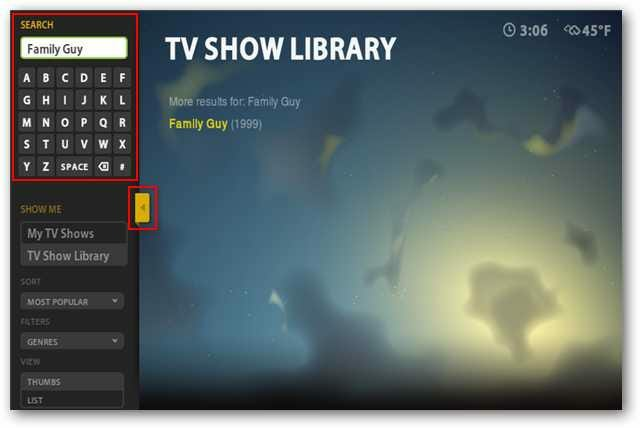 To search for your favorite shows, click on the yellow arrow to the left, or navigate to the left with your keyboard or remote. Enter your selection into the search box. By default, the “My Apps” section includes a list of the most popular apps, such as Netflix, Pandora, YouTube, and others. You can remove Apps from “My Apps,” or add new Apps from the Apps Library. 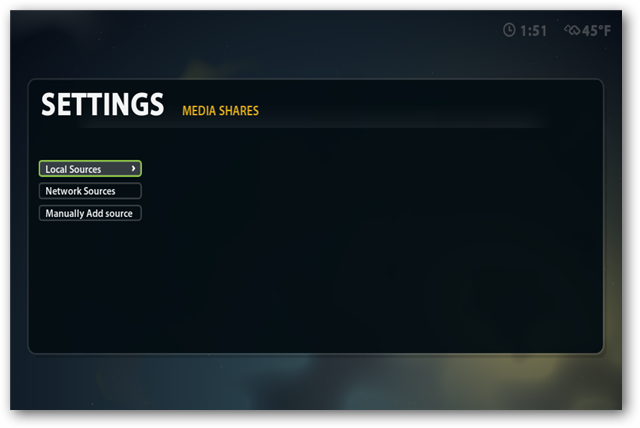 … or from the Pop Up Menu, selecting Settings > Media, and then browsing for your media. 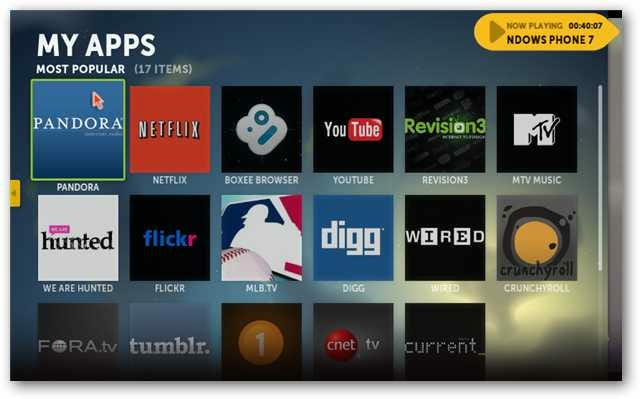 Boxee to be a great way to integrate your local media with online streaming content. It can be run as an application on your home PC, or as a stand alone media PC. It should also be noted, however, that your access to online content will vary depending on your country. 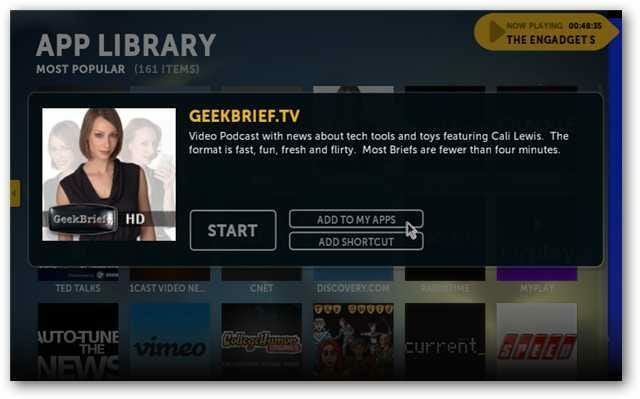 If you are a Windows Media Center user and and want to add the additional features of Boxee, check out our article on integrating Boxee with Windows 7 Media Center.